You are here: Home > Should On Pasture continue? We’re asking you to tell us. Without the support of our readers, underwriters and advertisers, On Pasture can’t go on. So we’re running our Fall Fund Drive like a Kickstarter Campaign. That means if we raise the funds we need, we’ll let you know on Tuesday, November 24, and then we’ll mail out all the books and bumper stickers. If we don’t meet our goal, we’ll be sending out refunds instead, either via PayPal or by returning your checks, and we’ll be closing shop. And please know that no matter how this works out, we are so glad we’ve done this, and we’re so happy to have met you all through On Pasture. We’ve learned a lot and we hope you have too! Can you send $12 for On Pasture? That’s just 23¢ per week of On Pasture. 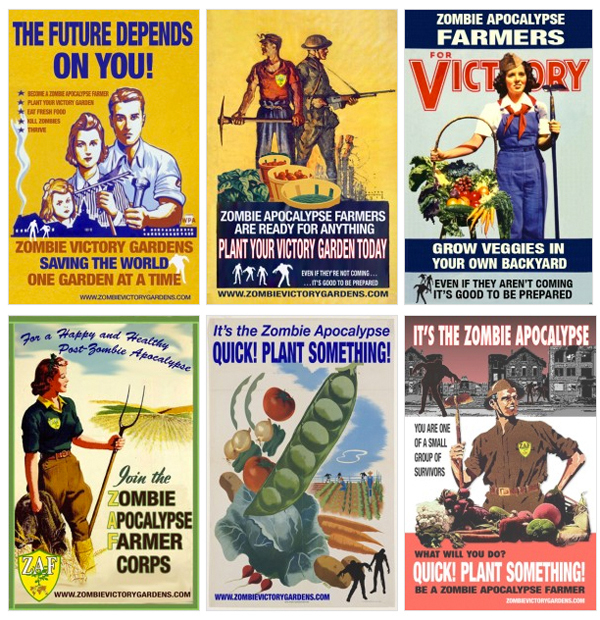 Everyone gets a bumper sticker! Be sure to send us your address when you sign up so we can send it out! Your support helps covers costs, and it tells us that you appreciate that we’re providing a service you don’t find anywhere else. It encourages us to keep on writing articles and searching for authors who have new, useful ideas to make you more profitable and sustainable. We’ve Got Thank You Gifts! 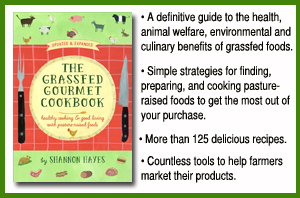 Shannon Hayes is sending a copy of her new, expanded “The Grassfed Gourmet Cookbook” to the first 60 people who send $50 or more in support to On Pasture. Choose your amount below. Be an On Pasture Underwriter! We also have an underwriter program for companies that want to show their support. You can learn more here. Or just contact Rachel and she’ll work with you on the details.